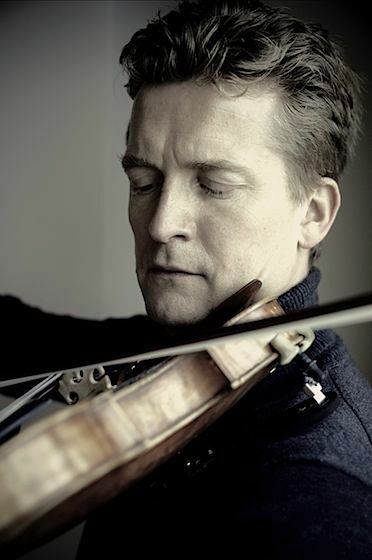 Christian Tetzlaff performed the Schumann with the Scottish Chamber Orchestra. The Guardian: "Christian Tetzlaff is the kind of uninhibited, generous musician who could persuade you of just about anything....he threw himself into the concerto’s tumult and made its kinks sound essential." The Scotsman: "Christian Tetzlaff breathed new life into the work with an effervescent performance dominated by his formidable technique and iron-willed determination, and he enjoyed superb support from an on-form orchestra under Robin Ticciati’s assured baton. After such turbulence, Tetzlaff’s sublime rendition of Bach’s Sarabande from the Partita in D minor, which perfectly encapsulated form and beauty, was the evening’s highlight." The Telegraph: "Christian Tetzlaff was on astonishingly impressive form, with a big, rich, confident tone that soared above the orchestra, remarkably clean articulation and a bracing freshness throughout. In the second movement, he seemed to be searching for new ways to convey Schumann’s sometimes meandering lines – but always with a sense of joyful discovery, rather than simply to draw attention to his own playing, remarkable though it was." Merry Christmas and happy holidays to all violinists and violin fans around the world. We hope that your holiday gifts include tickets to live music performances!